A San Francisco official has spurned an appeal from Spin, the first of three electric scooter companies that complained they were improperly shut out of San Francisco’s burgeoning market. James Doyle, a hearing officer with the San Francisco Municipal Transportation Agency, yesterday upheld the SFMTA’s denial of a permit to Spin while, at the same time, suggesting the agency “seriously consider” allowing Spin to vie for permits in the near future. 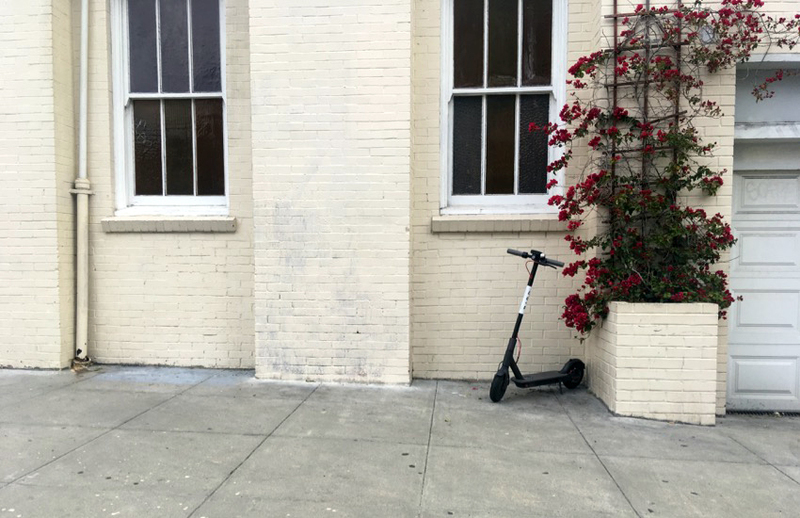 In May, San Francisco’s Board of Supervisors outlawed unpermitted scooters being left on the street — which, essentially, put a temporary kibosh on all scooters, as it was only then that the SFMTA began to devise a permitting program. In August, Scoot and Skip emerged as the only two companies among 12 applicants to win the SFMTA’s e-scooter golden ticket. Each company is entitled to place up to 625 scooters on city streets for the first six months of this yearlong pilot program; that cap could potentially double within the coming weeks. Spin, Lime, and Jump objected to both the permitting process and their being shut out of it, and filed grievances. Yesterday’s ruling was the first to reach a decision. And, while each company was rejected on different grounds and, presumably, appealed on different grounds, Doyle’s decision does not portend well for the other aggrieved scooter outfits. While the hearing officer found the SFMTA was within its rights to deny Spin an initial permit, he added that “Spin has the capacity to meet each of the terms of the Pilot Program. … On this basis, I recommend that SFMTA seriously consider issuing a Pilot Program permit to Spin” if and when the agency deigns to allow more scooters on the streets. Spin chose to focus on the silver linings. In the meantime, the City Attorney’s office is taking this as a win, too.